We’ve heard about the down side of having too much sugar intake for your own good. Gory images of amputated limbs, unhealed wounds infested with worms- we’ve seen it all during Pendidikan Jasmani, right? But (yes but) sometimes, we just need a lil sugar rush to make it through the day, right? Stressful meeting? Bubble tea to the rescue! Sweater weather? Milo panas to make you feel all warm and fuzzy. *Clears throat* In conjunction of World Diabetes Day which falls on 14th of November, we at Sevenpie would like to contribute our help to raise global awareness on diabetes and its effect. To be fair, it’s extra difficult for us Malaysians to control ourselves especially when it comes to food because we’re surrounded by them and they’re so accessible! However, moderation goes a long way so it’s good to remind ourselves and our loved ones to care for our health so that we can have more time on earth to enjoy more food. 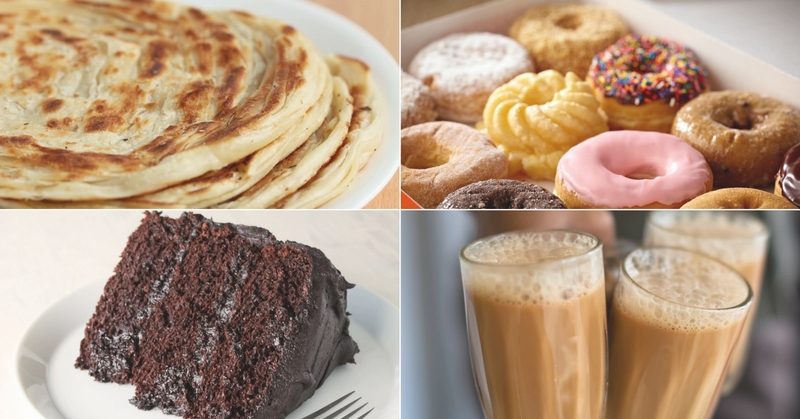 Below are 5 useful tips on how to lessen your sugar intake – ala Malaysian style! We Malaysians love our late night mamak and yumcha sessions. And most of the time, what accompanies us are drinks loaded with sugar, such as Milo dinosaur, teh tarik, sirap bandung and limau ais among others. Unfortunately, we often don’t see how much sugar actually goes into those drinks. Sugary drinks and soft drinks not only increases the risk of type 2 diabetes but also other chronic diseases such as heart disease and increased risk of cancer. Usually when you’re outside of the house and hungry, there’s a bigger tendency for you to grab those snacks. Do not go for grocery shopping especially on an empty stomach! The probability of unplanned candy hunting goes up incredibly high during this instance. Make time ffor a proper meal to avoid unnecessary sugar influx. Sometimes, you may think your body is asking for sugar when all it really wants is water! I’ve seen so many people out there who reach for carbonated drinks and big glasses of iced Milo and Ribena juice just to quench their thirst, when all the body really needs is good ol’ water. The next time you feel like grabbing for that sugar laden can of drink, try grabbing a tall glass of water first. If water is too bland for you, you can put in a bag of green tea or a few slices of lemon into your water for some added zest. Try consuming plenty of greens and multi grains. Whole foods help to stabilize your blood sugar levels and curbs your sugar cravings. Bringing home-cooked food from home for lunch during work such as steamed egg on brown rice keeps you full and satiated until the next meal. This helps to prevent the impulsive binging on snacks at your office’s pantry. If you tend to get hungry throughout the day, make sure you stock up on healthy snacks such as almonds, cashews, sunflower seeds, or raisins. Also, if you’re eating out, try to refrain from ordering processed food like roti canai or maggi goreng because those kinds of food can cause dips in your blood sugar levels. Instead, try ordering tosai (made of rice flour which is healthier than white flour) and hard-boiled eggs which is a good source for protein. Now we’re all human and it’s a near impossible feat to cut out bad sugar completely from our diet. I mean, the amount of cafes out there serving bingsu, waffles, and hot chocolate among others is too good to resist especially when those cafes keep popping up on our Instagram feed. So plan a cheat day once a week and allow yourself to indulge in your sugary cravings for a day. But just remember to take it easy and be ready to take on a new “sugar free/less sugar” week. Planning your cheat days ahead will also help your body to cope better with the new dietary adjustments. Chin up and hey, before you know it, you’ll eventually want less of any sugary stuff and perhaps one day, a total refrain altogether!